Last night in Singapore, TT Score was named “Best New Product: Market Surveillance” at the FOW and Global Investor Asia Capital Market Awards. As TT Score marks Trading Technologies’ first market surveillance product, it’s a thrill for us at TT to be recognized at this prestigious annual event. Trade surveillance is an area of the financial services industry that has been screaming out for disruption for years. Because of TT Score, regulators, compliance officers and traders can now leverage cutting-edge machine learning technology to detect manipulative and disruptive trading activity. It truly is a game-changing development, and it is one that I am proud to have personally contributed to over the course of the last few years. TT’s extensive distribution network and global reputation for excellence have opened doors to new regions for TT Score that the Neurensic team never could have reached as a start-up company. Today, we are seeing firms from as far away as London, Australia and India starting to benefit from the enhanced detection capabilities and workflow efficiencies that TT Score provides. Our customers around the world are embracing our groundbreaking approach to leveraging machine learning technology to supercharge their spoofing surveillance and eliminate the blind spots that are inherent to legacy trade surveillance systems. Still, don’t take our (or FOW’s) word for it. You can try TT Score out for yourself now, free of charge. 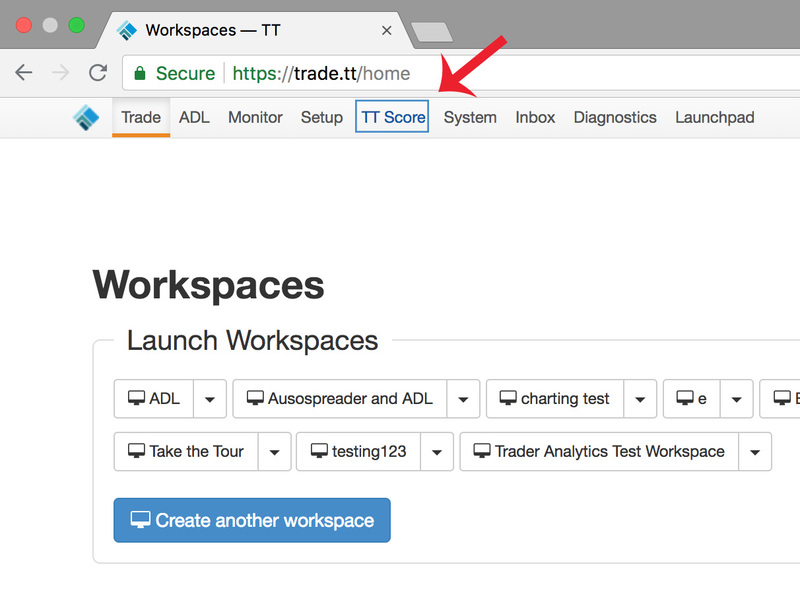 If you’re a trader, you can start your free trial immediately by clicking on “TT Score” in the TT title bar. No setup is required, and you’ll have free access to TT Score through the end of 2018. If you’re a compliance or risk professional, contact your TT Sales or Customer Success representative to begin your free trial. You will be up and running quickly and have use of all TT Score features at no charge for 90 days. If desired, you’ll have the option to pull data from other end points into TT Score using our FIX drop copy service. But the most exciting part is that we are still only scratching the surface of what the TT Score product will offer in the coming weeks and months. Innovations that are on the horizon include real-time alerting capabilities and new models for Marking the Close and Ramping. Stay tuned to Trade Talk for more about these and other coming-soon features.